To support distribution of products, AAM use various mode of tranportations. Experienced in cold chain product handling to make sure the products safely and securely delivered to the customer and complied with product specific requirements / standards. Supported by wide range selection of delivery mode and good fleet management to ensure AAM coverages to customers across Indonesia. 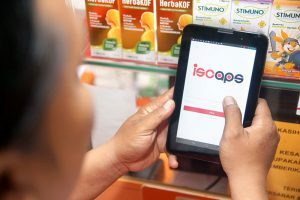 AAM implement Good Storage and Distribution Practices as well as Indonesian CDOB to ensure the product quality are maintained throughout distribution process to the customers. sufficient warehouse space supported with handling equipment to make sure the products being managed properly. 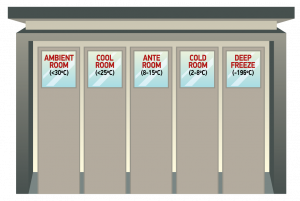 AAM provide storage space for specific room temperature to ensure the product stored in the warehouse complies with the product storage requirements : Cold storage area (2 – 8⁰C), Cool storage area (below 25⁰C), Ambient storage area (below 30⁰C). The process in AAM warehouse use integrated Oracle system that enables up-to-date information from forecasting, inbound, storage, outbound and returns. Each warehouse provided with storage handling tools and maintained to have sufficient space in order to properly store the products, and also equipped with safety equipment, CCTV and alarm system. AAM gives end-to-end distribution solutions. We offer solution services including: product registration, regulatory support, customs handling, importation, logistics, invoicing, and supply chain management. AAM has the ability to support principal to comply with Indonesia law and rules and in parallel provide solution for manufacturer to grow and develop their product availability in Indonesia market. AAM understands the need of strategic information is very critical to principals’ businesses. 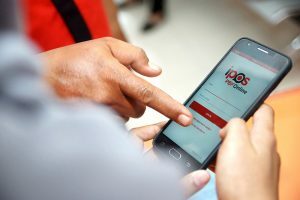 Therefore, AAM developed a comprehensive information system that enables principals to have their business insight anywhere, anytime and in their most convenient way.To ensure the speed of information, AAM has laid down a solid intranet foundation to all its distribution networks through out Indonesia using the best mix of communication channels. InfoStep is a service package that AAM provides for its Principals depending on principals’ needs. 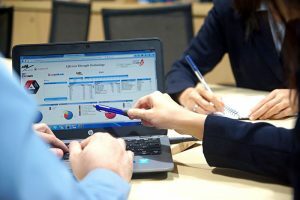 Ranging from simple and instantaneous information to periodic most comprehensive and strategic information, and everything the principal needs to ensure its business growth. 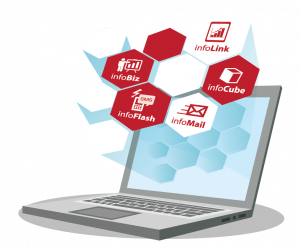 InfoStep break down its service into 5 components: Infoflash, Infomail, Infolink, Infocube, and Infobiz. The Integrated Purchase Order System, a system that is integrated with various other features that will make it easier for customers to place an order with AAM. Intelligent Expedition software to enhance the delivery process by providing the most preferred route for each delivery and real-time delivery tracking. Interactive Salesman Call Plan and Customers Exploration System is an application that supports AAM field force personnel in in putting transactions, checking stock, customer purchase data history and product and program suggestions offered, and many other market exploration tools. Trade Return, Claim and Expense System, a practical, effective and informative system for principal. Solution to facilitate AAM and principal related to monitor financial activity process which cover return, claim and other expenses from our customers to AAM and AAM to Principals. A service package that AAM provides for its Principals depending on principals’ needs. Ranging from simple and instantaneous information to periodic most comprehensive and strategic information, and everything the principal needs to ensure its business growth such as : Infoflash, Infomail, Infolink, Infocube, and Infobiz. We strongly believe the importance of sharing knowledge with the customers and partners is our strength to continue business sustainablity. As part of our commitment to grow with principal and customers, we are actively organizing knowledge sharing events such as AKAR and TUNAS in order to build strong bonds and trust with our loyal customers. 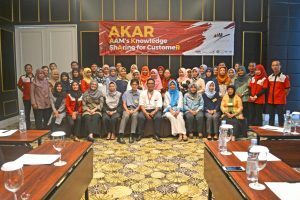 AAM Knowledge Sharing for Customer (AKAR) is a knowledge sharing program from AAM to customers as a commitment to grow together, with knowledge sharing skills and soft skills. 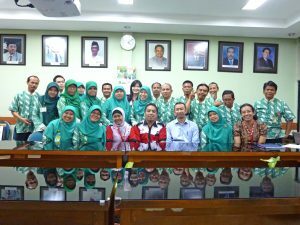 Throughout collaboration with principals, we always conduct AKAR events attended by customers in various regions from Sabang to Merauke. With intention to grow together with customers, the material and themes of sharing knowledge at each event are tailored to customer needs and market developments. 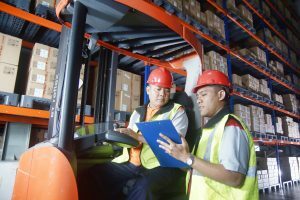 AAM also has Customer Warehousing Quality Assistance (TUNAS) program, a program which provides customized consultation and assistance for customers to increase their knowledge related to the quality of product handling and management. 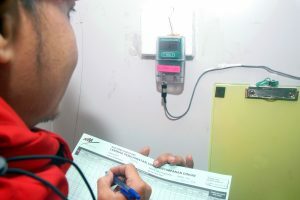 This program is expected to increase AAM’s credibility because the customers can utilized this program as a requirement for customer accreditation .The development of the TUNAS program is to share information and knowledge through technology, administration and business that is provided by our competent staff.